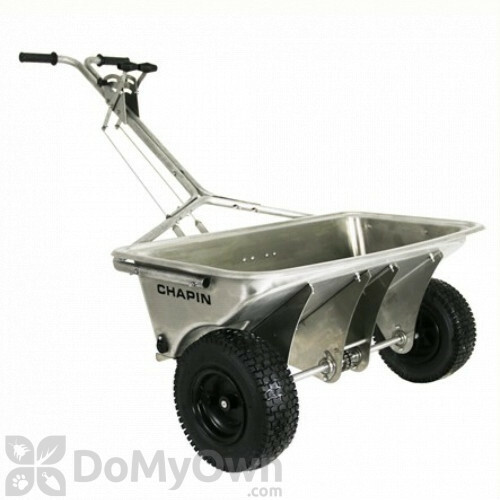 Chapin 8500B 200-Pound Stainless Steel Professional Rock Salt Drop Spreader offers excellent features and functionality to ensure superb performance in every application. It is specially engineered to deal with industrial scale rock salt needs for pros and contractors. 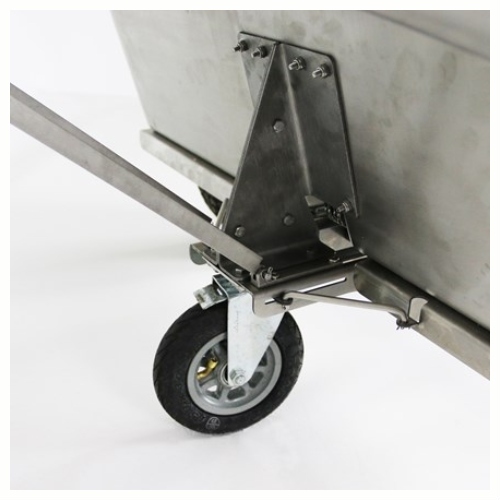 This 36-inch deep hopper is constructed of durable stainless steel with right and left solid linkage controls, 12-in. wide tread pneumatic tires for better traction and a third idler wheel for easier operation. 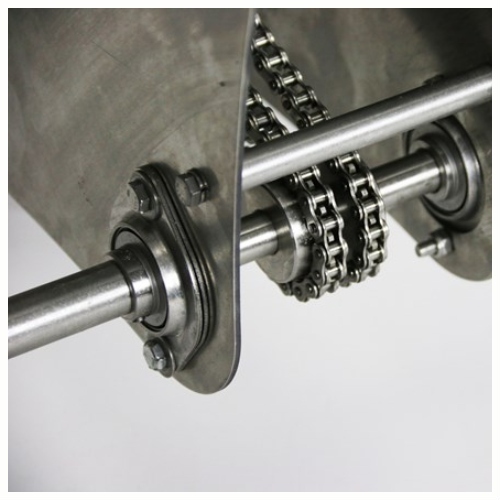 It also has corrosion-resistant stainless steel drive chains agitator which rotate with enough torque to smash clump of rock salt no matter the conditions and improve the flow of product. This rock salt drop spreader is preferred by most professionals because it is built to handle the largest job in the toughest environments. Product weighs 52 lbs. and has 200 lb. capacity. 38 x 24 x 36 in. 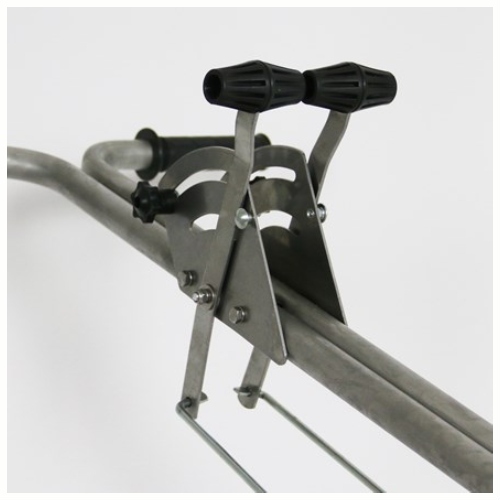 Features independent left and right solid linkage gate controls. Wheels drive left and right agitators independently to break up salt.